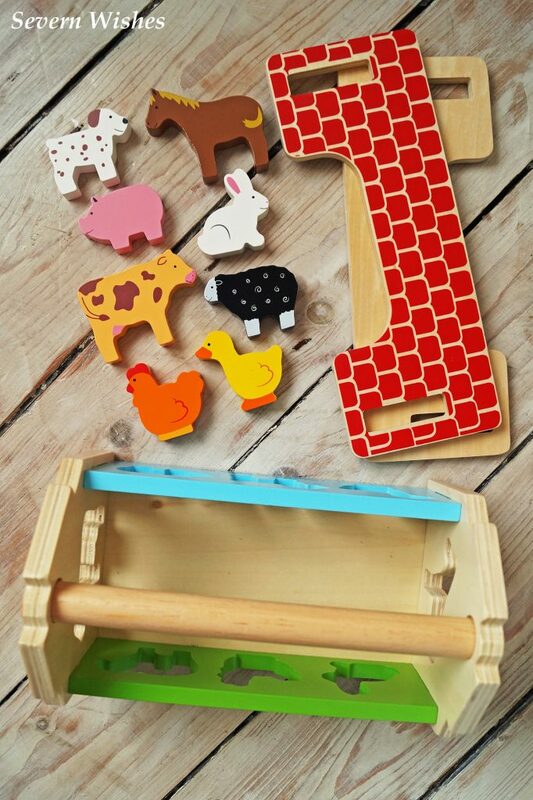 When searching for an educational toy for my Godson for Christmas 2016, I stumbled across a page on Facebook that I had been following for quite some time.The Laser Boutique specialises in a variety of wooden toys and gifts, a lot of which can be personalised too. I read some review comments of their products before I ordered and decided that they were the UK business I wanted to support this year. I believe that when you find a decent product and great service, it’s good to tell others about it. I will put all their links at the end of my review for their Facebook, Website and toy I bought. So let me explain what item I ordered. The gift I was after needed to be an educational toy and wooden, I believe in the joy that comes with these sorts of things, and wooden is far better than any sorts of plastics. 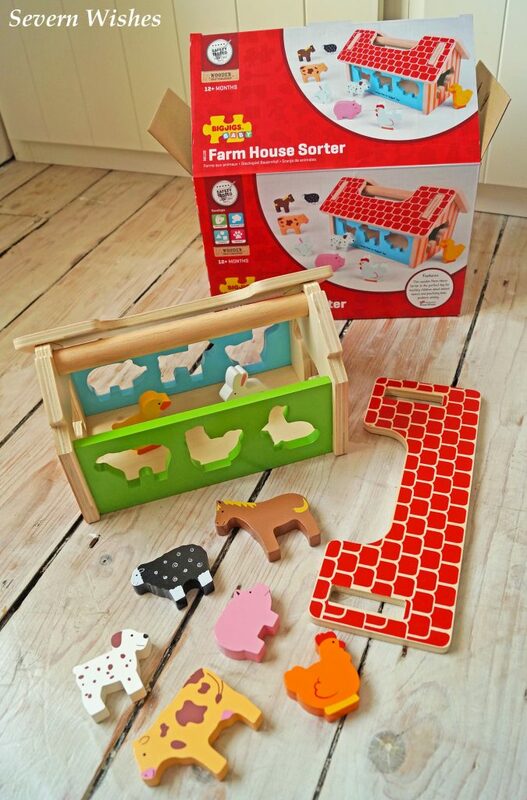 When I spotted the Farm House Shape Sorter I knew that this was the one. It was colourful and highly detailed, perfect for learning children. The building comes with two roof sections that can be personalised, and there are holes in the sides for the eight animals to be posted through, this will help a child with their dexterity skills. The building also has a handle so it can be easily transported and lifted. The whole toy is painted beautifully with nice details, and the animals are all smooth and anatomically correct. The nature of learning with shapes allows a child to distinguish the differences, and eventually they will learn the language skills with their parents aid, to know the names of the animals they are playing with. 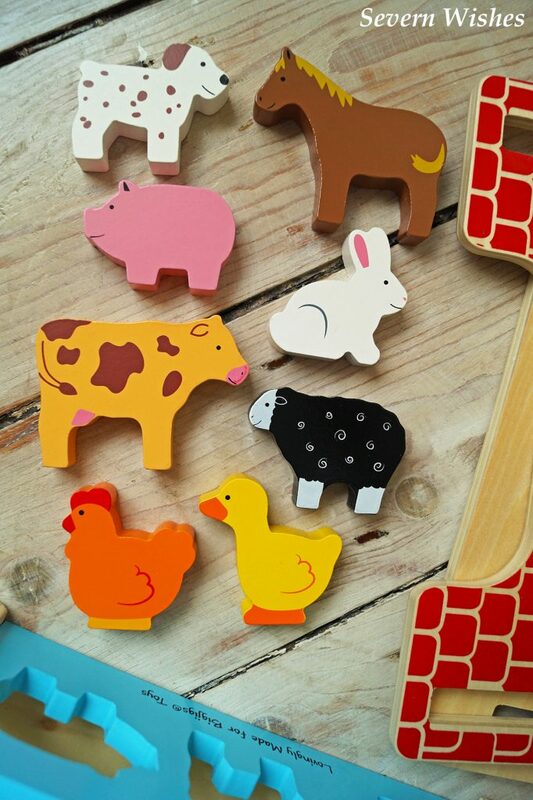 Wooden toys such as this encourage imagination and learning. Overall this toy makes a wonderful gift, and hopefully one that will supply the child with years of fun and learning. Even my Godson’s older brother has been playing with it! 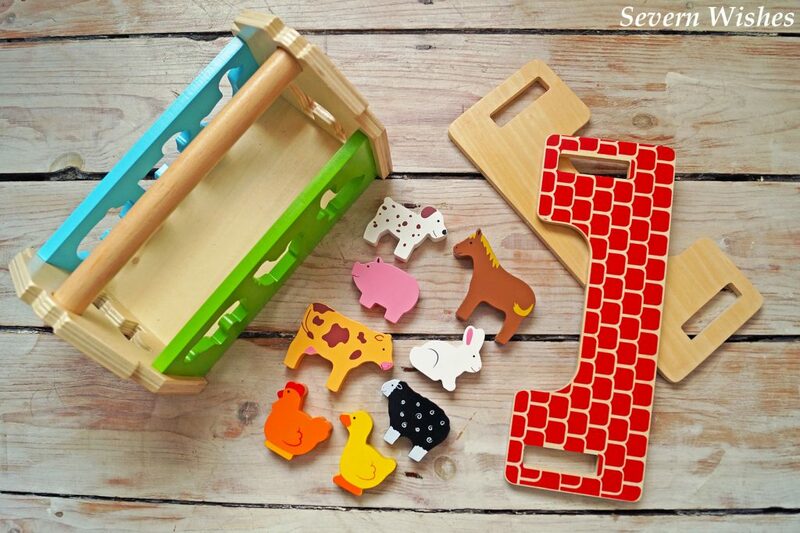 This item has been a hit with the family right from the start, and we all agree that you cannot beat great quality wooden toys. Especially educational ones and from companies that put such a lot of effort into the personal touch too. A bright and colourful appearance with this toy can be excellent for a child with their mental development of shapes and colours. 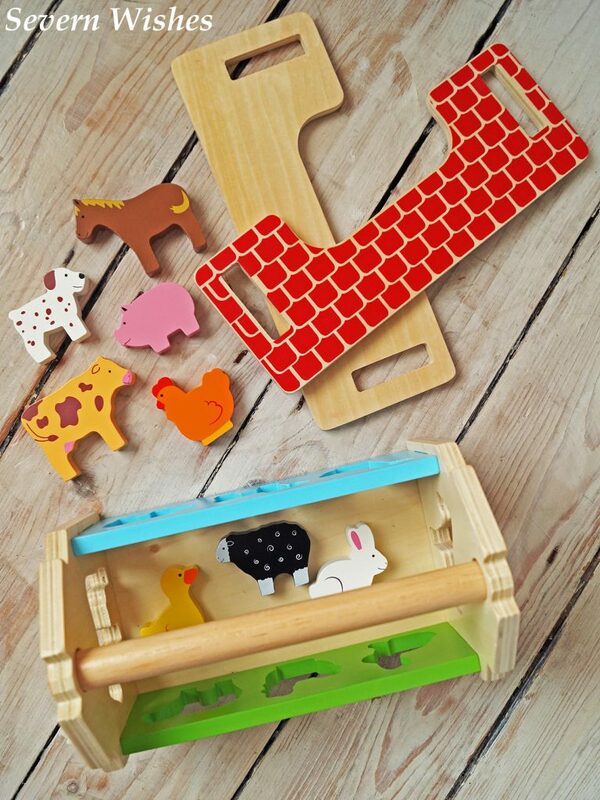 it encourages imagination and is ideal for educational play from 12 months of age. Because it is has the many colours and shapes, it is appealing to young children when all the while stimulating learning. The entire toy and its contents are well built, beautifully painted and the pieces fit together perfectly. It’s also got the safety tested sticker on the box to ensure you know the quality has been thoroughly tested before sale. Personally I think it’s an excellent price for what you get, you cannot put a price on a child’s education, and when a toy is this well made, it should last a long time. Toys such as these can be used for years after the preferred age required, and are strong enough to be played with and passed down to other children. I was happy with the amount I paid and the postage for it to arrive safely. Thank you very much for reading this review, I hope you have enjoyed it, and you will take a moment to check out The Laser Boutique website too. This entry was posted in Gifts, Reviews, The Laser Boutique, Toys by Sabrina. Bookmark the permalink.